Goodreads Description: In 1959 Virginia, the lives of two girls on opposite sides of the battle for civil rights will be changed forever. Linda Hairston is the daughter of one of the town's most vocal opponents of school integration. She has been taught all her life that the races should be kept separate but equal. Forced to work together on a school project, Sarah and Linda must confront harsh truths about race, power and how they really feel about one another. My Review: What a tremendous way to start off a reading year! Lies We Tell Ourselves is an intense read straight from page one, as it unflinchingly takes on racism, desegregation during the time period, and the institutionalized oppression systems that are still affecting our society today. Despite being a well-researched period piece and an issue book, at its core the story is a beautiful romance that puts most het romance to shame. As well as having an intense, life-or-death plot tension, the author also balanced a softer romantic tension that had my toes curling, and this balance kept the story engaging and exciting straight to the last page. The thing that struck me first and hardest about the book was the alternative viewpoint it offered me. This story is mostly told through the eyes of a black girl, and though it's peppered with passages from Linda's very opposite point of view, they only serve to support Sarah's narrative. Secondly, the dynamic with tension was something I'd never seen before. We have a school environment, and a story of ten kids simply trying to go through an average school day, and yet it's riddled with life-and-death danger. Everywhere Sarah and her fellow black students go, they're insulted, tormented, have things thrown at them, humiliated, and downright abused at every opportunity. Normally we'd see this kind of high-stakes tension in a school environment only in something like urban fantasy, where you can support that life-or-death element with supernatural dangers. But there's nothing supernatural about the danger facing these kids. It's completely realistic and true, which helps to highlight a whole side of reality that many (including myself) can hardly imagine. The characters themselves were beautifully crafted. They were all very real people, strong and independent but still struggling with their own insecurities and weaknesses. I especially liked the subtle approach to Sarah's character, as she in incredibly strong and courageous, but you can see the cracks that let her insecurities bleed through. Linda was a difficult character to read at times because of her blatant racism and prejudice. I was able to grit my teeth and push through her point of view passages mostly because I knew she was going to undergo a change. The change in her character was very realistic as well, occurring gradually and not without struggle, which made her transformation much more believable. This story is a romance, and with such a bigoted character as one side of that romance, I understand why some readers might take issue with Linda. The trope of the abuser and the abused falling in love is not only all-to common, but harmful to survivors of abuse. There's no arguing that Linda is an abuser, but I also believe this book properly shows humanity's capacity for change. We are all human, we all have things in our past we regret and have learned from, and it's harmful to everyone to assume we are unable to change. The key component that makes this relationship stay healthy, is not only that Linda strives to change and shows remorse for her past, but Sarah doesn't accept any of the abuse. She calls it out and at times even rises above Linda's trolling behaviour. This book may be difficult for some to read because of the intensity of abuse the kids undergo, but it is necessary to acknowledge it as part of our past. This book wonderfully captures the courage of kids who sacrificed their sense of safety for the promise of a more equal society. Underneath that, though, is the gentle and beautiful love story of two girls in a Romeo-and-Juliet style circumstance. This is one of those instant classic books that belongs on every reader's shelf. TL;DR: All in all, 5/5 stars. A beautifully balanced period piece and romance story that makes my heart happy. Goodreads Description: Are you a sensible, universally competent individual? Are you tired of the crushing monotony of leaping gracefully from one lily pad of success to the next? Are you sick of doing everything right? In this brutally honest and humorous debut, musician and artist George Watsky chronicles the small triumphs over humiliation that make life bearable and how he has come to accept defeat as necessary to personal progress. The essays in How to Ruin Everything range from the absurd (how he became an international ivory smuggler) to the comical (his middle-school rap battle dominance) to the revelatory (his experiences with epilepsy), yet all are delivered with the type of linguistic dexterity and self-awareness that has won Watsky more than 765,000 YouTube subscribers. Alternately ribald and emotionally resonant, How to Ruin Everything announces a versatile writer with a promising career ahead. My Review: "Taylor skips by the big rock arches, and a lump rises in my throat like the one Mom can't hide when she talks about her high school boyfriend-- emotion that forty short years can't dull, a tremor that makes me love my mother more because I understand her in those moments, relate to an ache that takes nothing away from our family but illuminates the million different lives each of us could have led if we'd washed up on different shores." 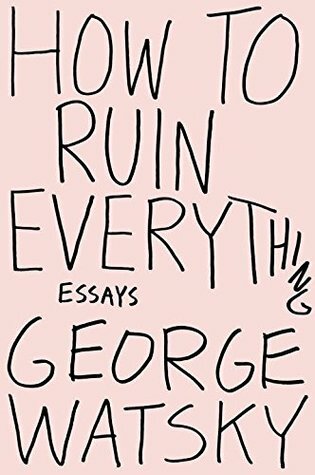 How to Ruin Everything is a collection of essays written by George Watsky, who has spent over ten years as a spoken word poet and a musician. In this collection, Watsky steps into new territory with essays featuring his life and experiences, and explores how sometimes ruining things causes them to turn out for the best. I was of course drawn to the book as I am a fan of the author's spoken word and his music, and was excited to get a deeper look at his work. I'll admit, I haven't read too many essay collections, at least those with essays all written by the same author. The book reads largely as a memoir, as the author reminisces about his life, his experiences, and how they've helped to shape him into who he is. That said, I found the essays thematically unconnected, and were drawn together only because they focused on the same person. It would've been nice to get a bit more to each essay to help bond it back to the theme of ruining everything. Or at least some sort of timeline, as the stories came from all over his life-- and thus it was difficult to tell where in his life and thinking we were at. On their own, the essays were quite an enjoyable read. Especially the last several, I found them rather poignant and beautifully written. A poet at heart, Watsky really knows how to bring out the beauty in the mundane. He doesn't embellish the beauty or pain, nor does he understate it. He lays both out plainly, and lets the reader draw their own emotional conclusions. The quality of the writing helps carry the reader through the disjointed timelines and random subjects. The beautiful use of words as well as the clever observations make this book such a joy to read. The style is rambling and introspective, like a poet ran away with a keyboard, and nowhere near a "must read," but it still holds a quiet, special spot on my reading shelf. TL;DR: All in all, 3/5 stars. 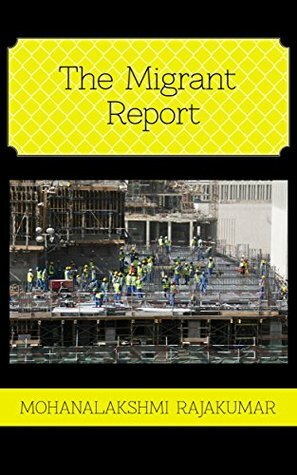 A series of disjointed essays with strength in beautiful writing and poignant observations. Another year, and another stack of incredible books! I'm a little late on this post, but better late than never. I think I was a little too eager to put 2016 behind me (aren't we all), but I got the chance to read some really awesome books and work with some incredible artists this year. I can't let the year slip away without a bit of reflection. As well as being a bit of my "Best Books of 2016," this list serves as another look at my reviews. Feelings can sometimes change on books; some that impacted me greatly while reading become hardly memorable, while something about a mediocre book could stick with me for months. I found it really hard to narrow down a list this year, which I suppose is a great sign. Without further adieu, let's get this rock show started! Nothing classier than a classic. I figured I should get the obvious choice out of the way first. Life of Pi rocked my summer reading in a way only excellent literature does. For months after I found myself flipping through passages and looking up quotes, still enamored with the story and its storytelling. One of the main reasons why I loved this read so much was because I learned a lot about writing from it. Not only about tension and execution, but as an incredible in-depth character study. The reader gets to know Pi as intimately as themselves, and that's something I haven't seen done so well before or since. I was offered a chance to read this book in exchange for a review, and I was so glad that I did. It's one of the books that sticks out most for me this year, if only because of the rich culture and characters. Though there was a large cast of POV characters for this novel, the author balanced it well and kept each character vivid and original. I was a little turned off by the sequel baiting, but months later I'm still delighted thinking back on the characters and all their interwoven problems. It is an #ownvoices book, as it is staged in the Arabian Gulf where the author lives and writes. My only real complaint comes back to wanting more from the book, yet it's one I often end up recommending, mostly because I feel like it is an awesome story that deserves the love. I was probably a little too forgiving in my review of this book. Then again, it's probably just that the few good parts I enjoyed have faded from memory, leaving only the bad. I call this book a bad aftertaste as it perfectly describes the feeling I get when I think of it. The main character was such an unlikable jerk, the romance was highly unbelievable, the beginning fluctuated between a "telling" backstory and break-neck tension and pacing, and the end is a string of bad fantasy tropes, all disguised in a contemporary. The main character is the "chosen one," it ends on a cliffhanger of people hunting after them, along with the reveal that we've got super special powers. It almost felt like a bait and switch of a book-- painting itself to be a contemporary story about character and growth, instead turning into the epitome of urban fantasy cliches. This book delighted me from beginning to end. 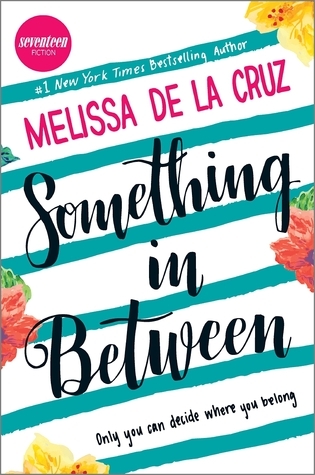 Perhaps it was because I read it right after an especially dark book, but the tone and writing of Something in Between was so positive, so bubbly and fun that it really lightened my spirits. It is a bit of the quintessential love story, but focused on a Filipino family and their struggle of impending deportation. The book balanced the love story with an #ownvoices look at Unites States immigration. It tackled the issues with the seriousness they deserve, but kept the story hopeful and fun right up until the end. It was such a breath of fresh air to read. Ah, Night Vale. After hearing about this book, I was so excited to immerse myself in the world of weird. A couple of my friends read it and encouraged me to pick it up, so I was fairly hyped up about what I was getting into. 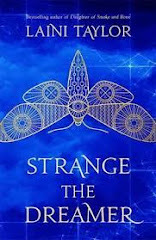 But after diving in, I found myself quickly bored of the strangeness without direction, and a plot hastily tied together at the end. There were tiny glimmering aspects of the book that I really fell in love with, which made the book even more of a let down to me. It may simply come down to personal preference, but I really felt like this book could have been so much more. It was the first book I read of the year and that disappointment still rings as strong as the day I finished it. I'm not usually one for cute coffee table books, but I picked up this poetry collection on a whim, mostly because I love cats. I was surprised and delighted by how much I fell in love with the author's prose. 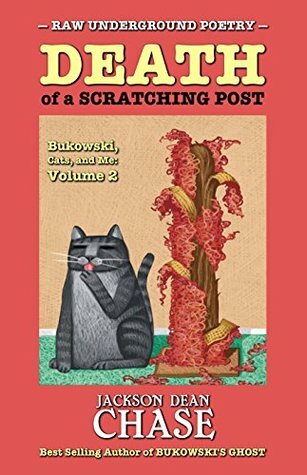 Yes, every poem was about a cat, but held a lot of passion and depth that I wasn't quite expecting. I really enjoyed the author's approach and even now I find myself flipping back to the poems and reading through. It's a short but sweet read and has stuck with me for longer than I expected. I felt like I couldn't go without mentioning this book. The story itself was pretty standard and didn't actually wow me-- it was the augmented reality app that did it. This is a middle grade book, and in an attempt to engage kids who might be a little too attached to their electronics, an app was constructed as a "how to" guide for all the creatures the main characters discover in the new world they're transported to. Using the phone's camera, the app projects a 3D creature standing on the book (think Pokemon Go). As you read through the book, the reader discovers more pages that show new creatures. I was impressed because I felt like the app helped to facilitate reading and encouraged the reader to get more into the story, instead of taking away from it with too many flashy add-ons. Goodreads Description: The circus is in town, and Mick Bogerman has a fail-proof plan to sneak inside the adults-only Macabre Pavilion. But there’s something weird about the A. Linville & Purnima Bros. Circus this year. Angry parents and crying kids exit early by the carload. Maybe it’s the clowns. Yes, they wear the standard stark-white faces and red bulbous noses, but underneath their painted smiles, there’s something not quite right. What's more, after the full moon rises . . . they howl. When Mick and his friends rescue a caged boy from the clown’s clutches they set off a series of disasters that threaten their entire neighborhood. Can Mick become the leader his neighbors need and protect them from the pack of hungry predators infiltrating their town? My Review: I was given a copy of How to Protect Your Neighborhood from Circus Werewolves by the publisher in exchnage for an honest review. 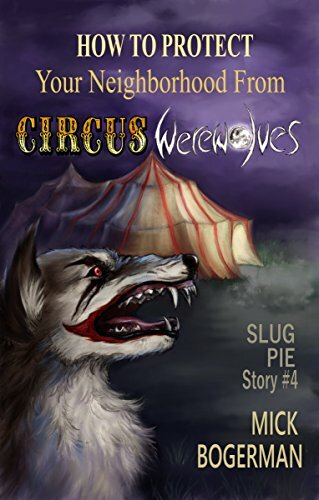 Mick Bogerman, both the author’s penname and the main character in the series, brings us another installment of his middle grade series, this time featuring circus werewolves. The first thing to draw me into the writing was the fantastic voice the author maintains, mostly through a slang-like writing, attempting to imitate the speaking style of a 12-year-old. While some readers may be put off by the slang-y style, it worked really well for the book, primarily because it was used sparingly and didn’t take away from the story. Once accents become difficult to understand, it makes it difficult to even enjoy the story, but the author handled it nicely, and it helped cement that 12-year-old authenticity. Overall, the writing was very thin, but not lacking in any way. How To Protect Your Neighbourhood from Circus Werewolves is a middle grade book aimed at the lower age-range, and so it doesn’t waste time with long descriptions or lack of action. It is excellent for the reading level and would be a great first book for kids stepping into chapter books. It is full of adventure that keeps the reader engaged from the beginning to the end. There were a couple points where the lack of description or explanation had me a tad confused, but they were minor and didn’t take me away from the story. 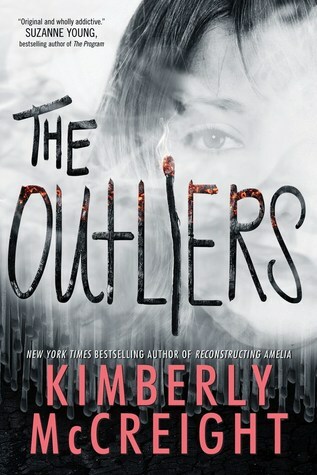 I especially loved that the book read as a perfect standalone; obviously adding to and a part of a larger series, but still a self-contained story that doesn’t require numerous “Last Time…” explanations. I could not recommend this book, and the rest of the series, more to anyone with young readers. I can totally see many kids falling in love with the author’s creative reimagining of creatures, as well as the heartfelt and delightful cast of characters. TL; DR: All in all, 4/5 stars. A riveting adventure and a delightfully creative approach to werewolves.